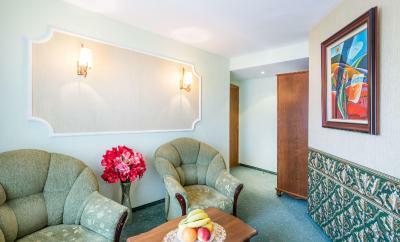 Lock in a great price for Hotel Dafi – rated 8.5 by recent guests! 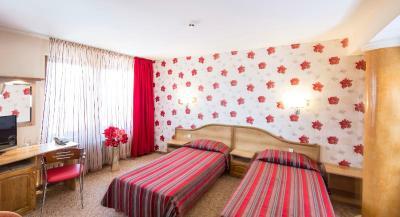 The position in the old centre and near all atractions, staff was great, room big and confortable. We arrived early and the hostess gave us the option to look at a room that was ready and take it or wait until our assigned room was cleaned. We took the room that was ready, and it was just fine. Beds were pretty cozy. Bathroom was small but fine. Everything was clean. Parking right outside, elevator, and great location right in the heart of Kapana. Great location in the heart of the Trap, but still on a quiet street. Clean, fresh. The property's location is more than satisfying. Staff was friendly. Reasonable price for what they offer. The location - could not be better!!!! Staff was great, very pleasant. Breakfast was OK too, although nothing special. The staff was very friendly and the room was large and comfortable. The hotel is very clean and well taken care of. One of the best features as the location. It's within walking distance to everything without being right in the middle of the tourist section. We loved it! The location was excellent. The staff answered questions and tried to be helpful. There was hot water. 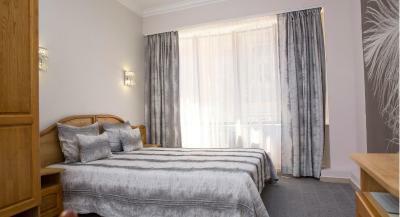 Hotel Dafi This rating is a reflection of how the property compares to the industry standard when it comes to price, facilities and services available. It's based on a self-evaluation by the property. Use this rating to help choose your stay! 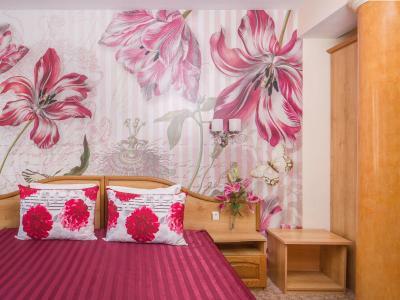 One of our top picks in Plovdiv.Hotel Dafi enjoys a central location in Plovdiv next to Djumaya Square. 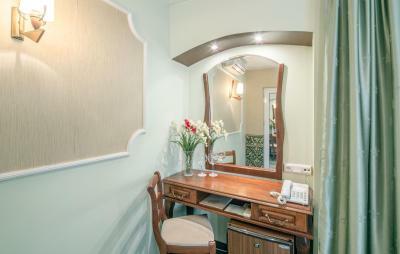 It offers elegant and spacious rooms with free WiFi internet access. 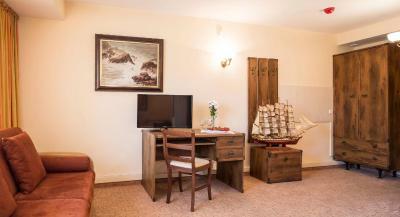 The rooms are soundproofed and offer cable TV. Bulgarian dishes are served at the restaurant. At the Salad Bar, you can choose from a wide range of traditional and original salads. 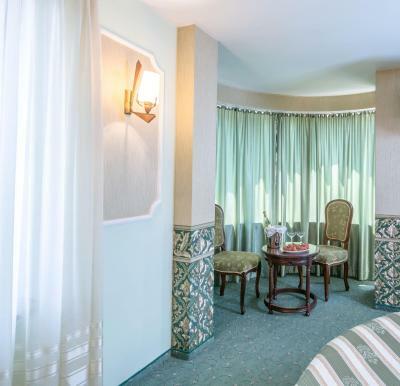 Hotel Dafi is only a 5-minute walk from Mosque Jumaya and the Roman Stadium. 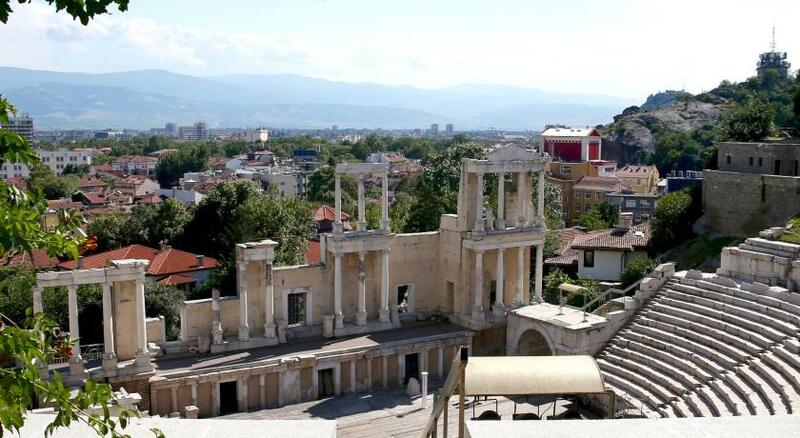 Plovdiv Center is a great choice for travelers interested in architecture, culture and Roman Ruins. 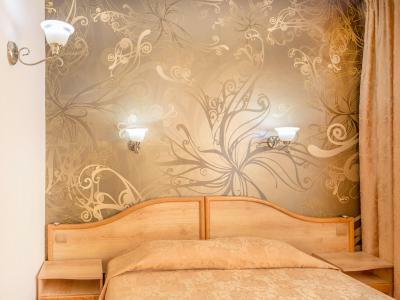 This is our guests' favorite part of Plovdiv, according to independent reviews. When would you like to stay at Hotel Dafi? 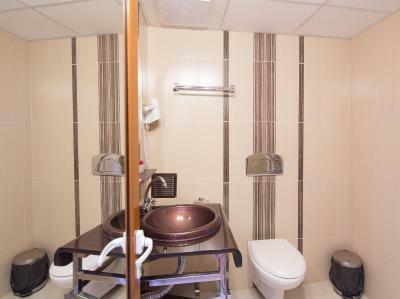 The Double room features private air-conditioning system, free WiFi access, satellite TV, mini-bar, private modern bathroom with a shower and hairdryer. 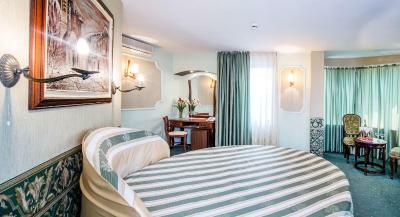 Guests can choose between a large double or two single beds. This needs to be stated when making a reservation. 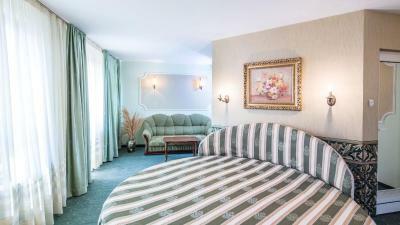 The Deluxe Suite features a round bed, a spa bath, a seating area, cable TV and a refrigerator. The Suite features a comfortable seating area, cable TV. This single room has air conditioning, satellite TV and mini-bar. Hotel surroundings – This neighborhood is a great choice for travelers interested in architecture, culture and Roman Ruins – Check location Excellent location – show map Guests loved walking around the neighborhood! House Rules Hotel Dafi takes special requests – add in the next step! Hotel Dafi accepts these cards and reserves the right to temporarily hold an amount prior to arrival. If you expect to arrive outside reception opening hours, please inform the property in advance. You can use the Special Requests box when booking or contact the property directly with the contact details provided in the booking confirmation. During the International Fair pre-payment through a bank transfer is required by the hotel. You will be contacted by the hotel via e-mail. The hotel reserves the right to pre-authorize your card. An extra bed can only be added to the Studio. Please note that parking is subject to availability due to limited parking spaces. 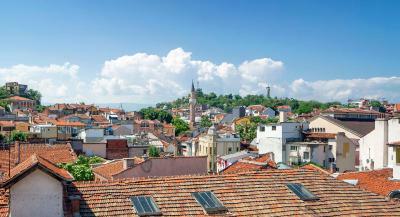 One of the most picturesque neighborhoods in Plovdiv! 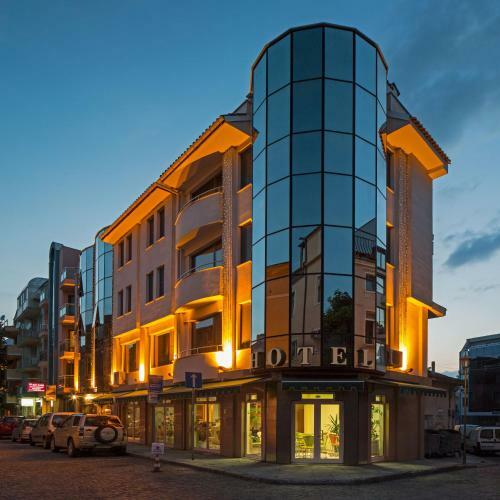 Hotel Dafi is very nice, placed in the center of Plovdiv in nice and quiet area, and perfect for walking and exploring of town. The hotel is very clean, the room is nice, bathroom is clean. Breakfast is very good, staff is very professional. We will visit again, that's for shure. The TV wasn't working and no air-conditioning system working. I had to open the windows. The staff are very nice. The mattresses were really saggy, there was no duvet and the walls were super thin. My window also only partially opened, and the TV didn't have enough channels. Everything was nice: the breakfast spread was nothing special but lots of effort went to it. I was most impressed by how helpful and nice the staff were, and their English. The wi-fi was excellent. The breakfast was not very rich, it can be improved a little. 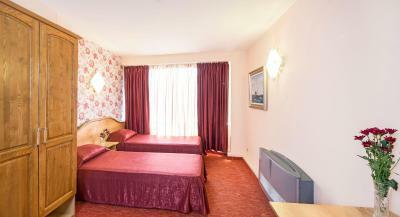 Hotel is perfectly located in Kapana with the old and new towns very close by. The room I got was very big and had a huge bed, balcony, spa bath and soft seating area. The staff were very nice and friendly, they were happy to look after my luggage for the day once I had checked out - this was very important to me. Breakfast was average, croissants, yogurts and cold milk for cereal would have made it better but it was still clean and quiet in the breakfast room in the mornings, the lady in there was friendly and accommodating. All in all I am glad I stayed and would stay again in I return to Plovdiv in the future. Location is more than perfect! Maybe install courtain in the basroom! To find a parking spot is really difficult. The hotel have only 2-3 places.